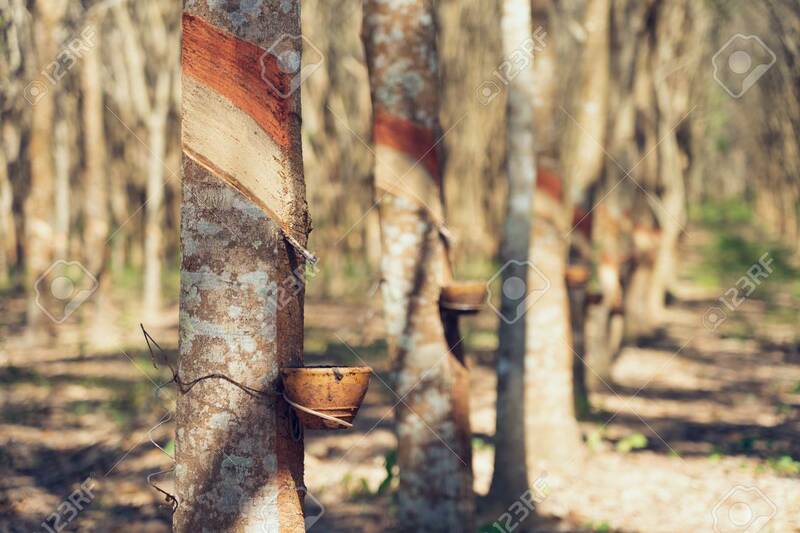 Rubber Tree (Hevea Brasiliensis) Produces Latex. By Using Knife Cut At The Outer Surface Of The Trunk. Latex Like Milk Conducted Into Gloves, Condoms, Tires, Tires And So On. Lizenzfreie Fotos, Bilder Und Stock Fotografie. Image 114603210. Standard-Bild - Rubber tree (Hevea brasiliensis) produces latex. By using knife cut at the outer surface of the trunk. Latex like milk Conducted into gloves, condoms, tires, tires and so on. Rubber tree (Hevea brasiliensis) produces latex. By using knife cut at the outer surface of the trunk. Latex like milk Conducted into gloves, condoms, tires, tires and so on.